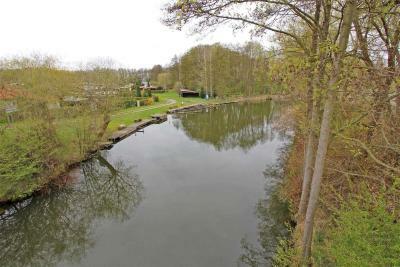 Ferienhaeuser Klein Quassow SEE 90 offers accommodations in Wesenberg. Guests can enjoy the on-site restaurant. The rooms come with a flat-screen TV with cable channels. The resort also provides bike rental. Waren is 19 miles from Ferienhaeuser Klein Quassow SEE 90, and Rheinsberg is 15 miles away. The nearest airport is Laage Airport, 51 miles from the property. 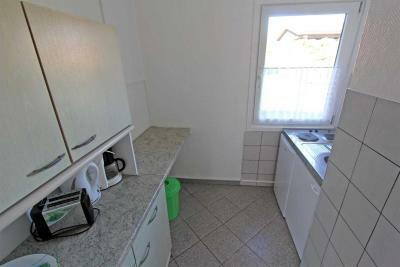 When would you like to stay at Ferienhaeuser Klein Quassow SEE 90? House Rules Ferienhaeuser Klein Quassow SEE 90 takes special requests – add in the next step! After booking, you will receive a separate booking confirmation from Zugvogel-Reisen GmbH. This will include information on payment, terms and conditions, contact details and key collection.Please be aware that all arrival information will be given after the full payment is done. We need at least 5 reviews before we can calculate a review score. If you book and review your stay, you can help Ferienhaeuser Klein Quassow SEE 90 meet this goal.